The song was donated to the keren (I think). He is giving a message of tshuvah; Ashrecha! He has chosen Rabeinu Nachman as his guide; Hatzlocha Rabbah! 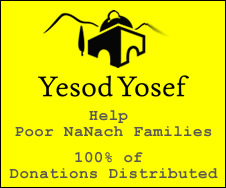 He is encouraging people to give tsedukah; Tizku L'Mitzvos! He is performing v'Hatzlocha; Brocha v'Hatzlocha. But within his chosen genre, it seems very good. There are many excellent Breslev books about seeing the positive in everything. If you seek them out you will be a happier person.